Ordinarily available only in black with orange accents, Maurice Lacroix‘s top of the line watch is nonetheless accessibly priced. 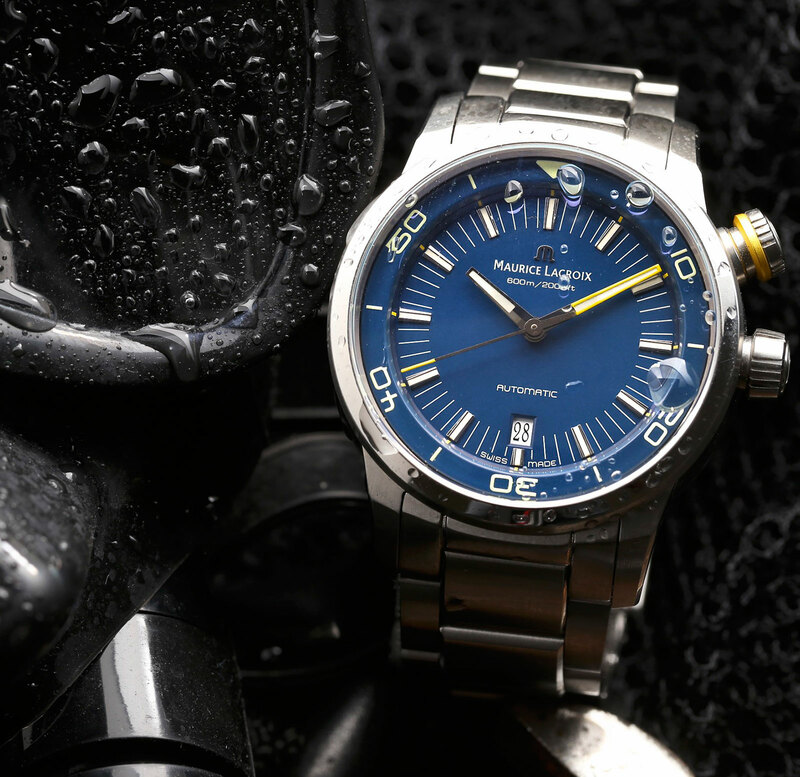 Inspired by the colour of southern blue devil, a longfin fish native to Southern Australia, the Pontos S Diver Blue Devil is a limited edition available only in North America. Rated to 600m, the 43mm stainless steel case has two crown – one at three o’clock for winding and time setting, and the other at two o’clock to rotate the inner dive bezel. This twin crown construction is reminiscent of, but not identical to, the 1960s Super-Compressor dive watches, which had crowns at two and four o’clock. Named after the type of waterproof watch case, Super Compressor watches made by numerous manufacturers, ranging from Alpina to Longines. Finished with a sun ray brushing, the dial is a dark blue with white and yellow accents. And inside the Pontos S Diver is the ML115, which is a Sellita SW200, an automatic movement that’s modelled on the robust ETA 2824. 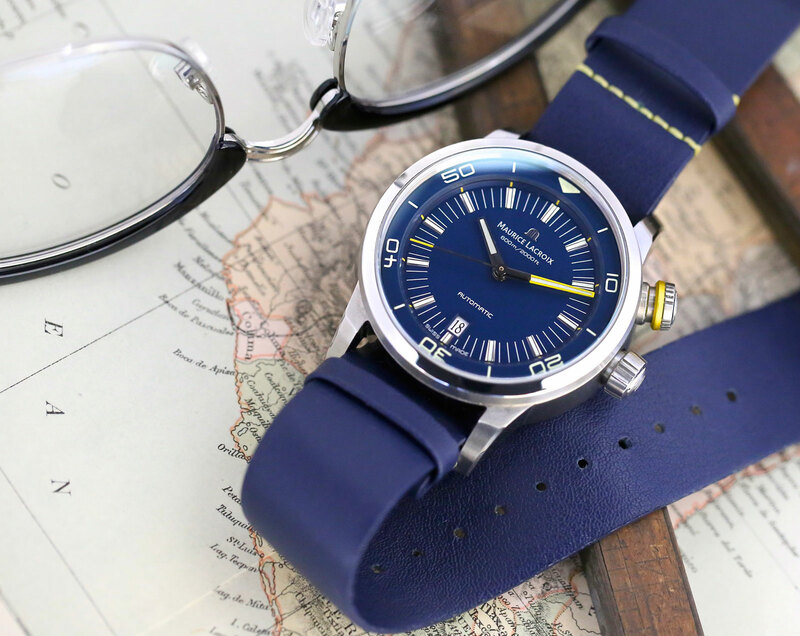 The Pontos S Diver Blue Devil is fitted on a stainless steel bracelet, and also accompanied by a black rubber strap as well as a blue NATO-style calfskin strap that loops under the watch case. 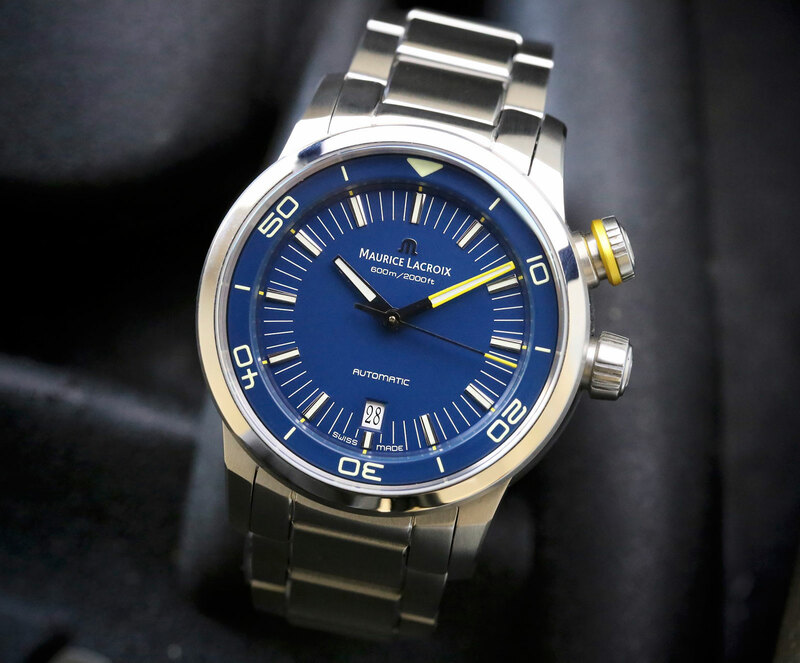 Limited to 100 pieces, the Pontos S Diver Blue Devil is priced at US$2950. It’s available at Maurice Lacroix retailers in North America starting November 2016. Panerai has just taken the covers off a quartet of limited edition watches with metallic blue dials - PAM688, PAM689, PAM690 and PAM659.